Today marks the thirteenth anniversary since the passing of fellow ISM activist Rachel Corrie (April 10, 1979 – March 16, 2003). Rachel was tragically crushed to death under the front blade of an Israeli military, American funded, Caterpillar D9R bulldozer near Rafah, in the southern part of the Gaza Strip. 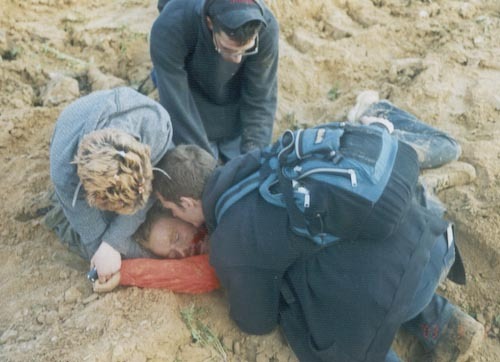 Rachel died whilst placing herself in the path of the military bulldozer to protect the family and their home that the bulldozer was on route for and due to be demolished. Rachel’s death created a global outcry towards the Israeli military’s actions and prompted an international investigation under the contested circumstances in which she died during the height of the second intifada. Rachel had come to Gaza during part of her senior-year college assignment that connected her home town with Rafah in a sister cities project. 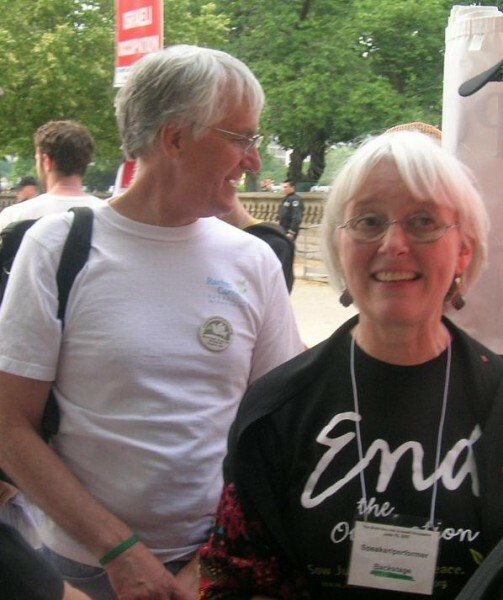 Whilst in Palestine, Rachel had engaged with other International Solidarity Movement (ISM) activists in efforts to prevent the Israeli army’s continued demolition of Palestinian homes in operations that the Israeli military claims were aimed at eliminating weapons smuggling tunnels. 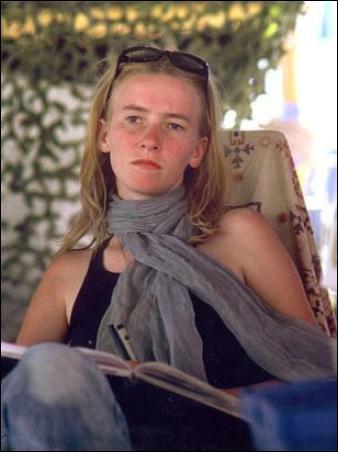 Less than two months after Rachel had arrived into Palestine, on March 16, 2003, Corrie was killed. Her death came during an Israeli military operation after a three-hour peaceful demonstration between occupying Israeli forces operating two armoured bulldozers and eight ISM activists. The exact nature of her death and the culpability of the bulldozer operator have since been disputed largely through extended judicial proceedings, with fellow ISM protestors that were at the scene saying that the Israeli soldier operating the bulldozer deliberately ran over Corrie, and Israeli eyewitnesses saying that it was an accident since the bulldozer operator could not see her. 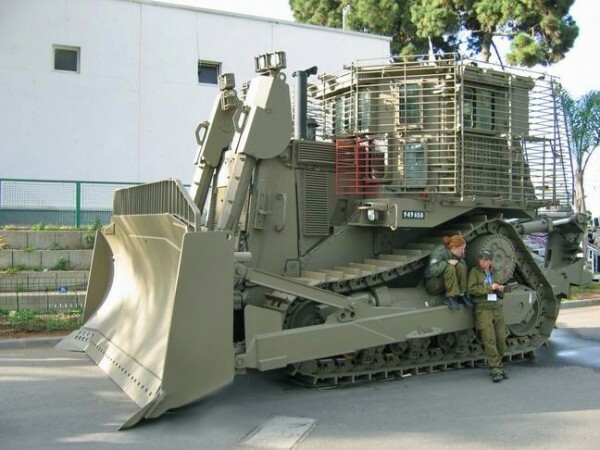 The Israeli army conducted an investigation into Corrie’s death, which concluded that her death was an accident, and that the driver of the bulldozer could not see Corrie due to limited visibility from his cab. 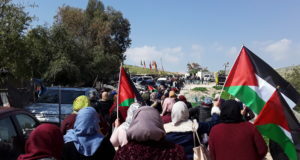 Many have criticised the investigation as bogus and are outraged at the level of direct negligence displayed by the driver and the impunity that the Israeli army receives under Israeli law. Corrie’s family has been involved in ongoing legal battles through the Israeli supreme court in an attempt to attain justice for Rachel. 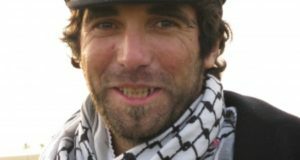 Following extended trials in an attempt to attain justice for their daughter, the Corrie family lost their latest appeal in the Israeli Supreme Court on the twelfth of February, 2015, exempting the Israeli defense ministry from liability for actions by its forces that it deemed to be “wartime activity,” but wrongly refused to assess whether those actions violated applicable laws of armed conflict, Human Rights Watch said. 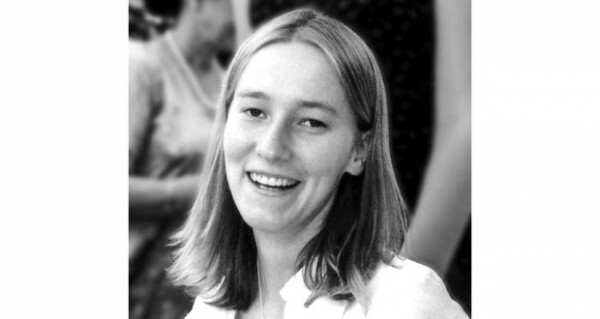 Human Rights Watch documented that in the primary stages of Rachel’s trial, Israeli investigators failed to call any Palestinian witnesses, threatened to indict other foreign volunteers who witnessed Corrie’s death while questioning them about the incident, and failed even to ask witnesses to draw a map of the area at the time of the incident. The initial military inquiry into her death even concluded that “no signs substantiate [the] assertion that Ms. Corrie was run over by a bulldozer,” a conclusion that the military later reversed. Rachel’s death is an extremely sad and timely reminder of the callus acts of negligence and the immunity that the Israeli military receives under Israeli law. However, Corrie’s death is no way in vein nor is it forgotten. The spirit she displayed in her actions along with her will to take up the fight against injustice to those whom it is imposed upon by the zionist regime will forever be remembered. At the time of her death, Yaser Arafat, the first President of the Palestinian Authority, offered his condolences and gave the “blessings of the Palestinian people” to Corrie. 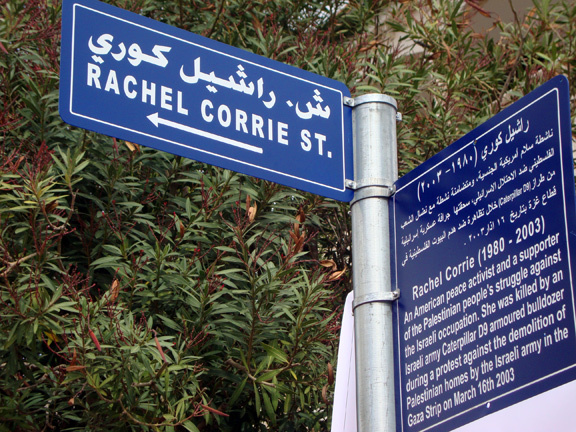 The municipality of Ramallah in the West Bank dedicated a street to Rachel Corrie whilst a cafe in Al-Khalil/Hebron bears her name. Yearly demonstrations are held in the name of Rachel by Palestinians and by activists for human rights alike. The memory and the fight for justice displayed by Rachel will not be forgotten and will continue to be remembered by those fighting the war of injustice and human rights abuses that plague the Palestinian people to this day and onwards, until occupation is non existent and there is peace.